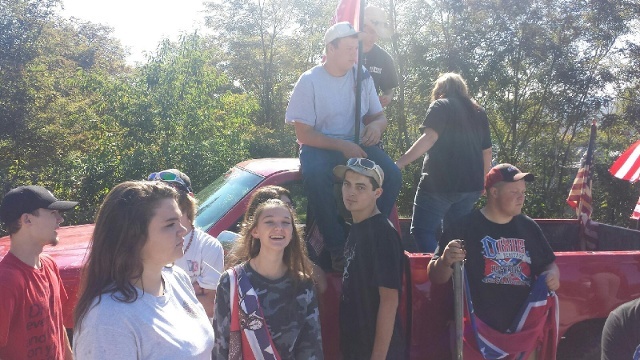 CHRISTIANSBURG, Va. - More than 20 students at a Virginia high school received a one-day suspension for wearing clothing displaying the Confederate flag. Montgomery County Public Schools spokeswoman Brenda Drake told CBS affiliate WDBJ the clothing violated Christiansburg High School's dress code. Drake said that the students refused to comply with the dress code after they arrived at the school Thursday. They were given one-day in-school suspensions. But she says a majority of the students didn't follow in-school suspension rules and were given out of-school suspensions. Confederate symbols have come under increased public scrutiny since the June 17 massacre of nine black worshippers at a Charleston, South Carolina, church. The man charged had been photographed holding the Confederate battle flag. State data show the school has about 1,100 students. White students make up about 83 percent of the student body; black students, 8 percent. Last month students were told to remove Confederate flag bumper stickers from their cars, WDBJ reported.